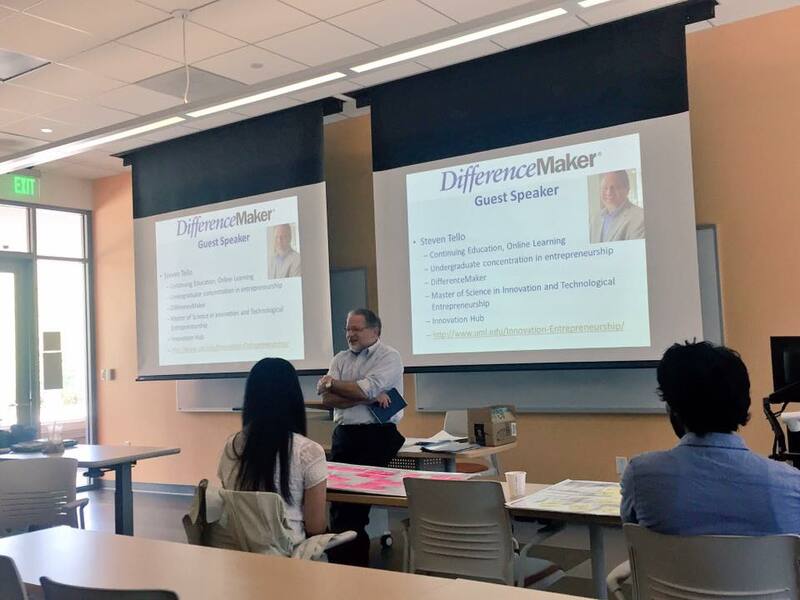 On Thursday, June 1st, DifferenceMaker welcomed the 2017 DifferenceMaker Idea Challenge winners for the opportunity to work and receive insightful feedback to further advance their projects. Eager to learn, the teams gathered in room 120 of the newly built Pulichino Tong Business Center. In the first of many Summer Boot Camp sessions, the teams began to comprehend what customer segments are, what business model they should focus on, and more importantly, ways of implementing their winning funds. Through visuals, Ha Pho, explained in detail the steps necessary to make the teams’ ideas flourish. It was not long before each team was up on their feet presenting their product pitch. Their presentation was followed by questions and advice from advisors and peers with the intention of guiding them in the right direction. Holly Butler made sure to remind the students not to feel pressured if they did not know all the answers; this is just the beginning! The students left the session with a better understanding of what they should work toward and the knowledge they should bring when we meet next week. Guest Speaker, Steven Tello, made an appearance to show his support toward DifferenceMaker and it’s teams! A special thank you to the advisors who are dedicating their time to assist the teams!